Cable ties — also commonly known as zip ties — is a length of strong nylon plastic with teeth on one side of the length of the cable tie. One end has a locking mechanism, and the cable tie can be looped and inserted into the locking end where the teeth allow the cable tie to be pulled closer, but do not allow it to be pulled back out. SupplyPlaza is an online shopping center providing cable ties and zip ties, including reusable cable ties, and beaded cable ties for sale to businesses and end users. 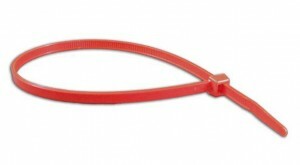 SupplyPlaza offers cable ties in smaller quantities at low prices with same day shipping on all cable ties. SupplyPlaza also carries a host of related and useful products, including the V-Tool Systemfor tag attaching and refill, security seals, and twist ties. Andfel Corporation supplies superior quality twist ties, cable ties, security seals, and tag attaching equipment, and offers friendly, efficient customer service. Andfel has built their reputation by offering the best products, the best service, and some of the shortest lead times in the industry. AALL AMERICAN Fasteners offers a wide variety of cable tie options. 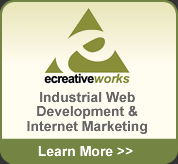 They stock reusable cable ties, stainless steel cable ties, cable tie mounting bases, and more to meet the needs of any customer and any application. Cable ties get their name from their original function — an easy way to tie together bundles of computer cables. However, the simplicity, low cost, and ease of use of cable ties has caused them to spread to any number of uses, from attaching hubcaps to wheels, for use as makeshift handcuffs, and to hold just about anything together. Traditionally cable ties are one-use items. Since the teeth and ratcheting design allows the cable tie to be pulled tighter, but never looser, the only way to release it is to cut the cable tie. However, there are also reusable cable tie designs in which the locking mechanism can be opened to release the teeth. The one downfall of cable ties for many cable tie uses is the fact that they have to be cut away to be released. While this can be a benefit in some situations — such as cable ties used as makeshift handcuffs — for most day to day domestic applications it is a detriment. In particular when used for the purpose of bundling cables or wires, cutting the cable tie can damage the cable coatings or wires. Whether using scissors, wire cutters or a knife blade it’s very easy to accidentally nick the cables when cutting the ties off. Releasable Cable Ties look and function just like standard cable ties, except the locking mechanism at the end that the cable tie is fed through is hinged so that the top of the mechanism can be released, freeing the teeth of the cable tie and letting it back out of the end. Beaded Cable Ties function just like standard cable ties, but they use a substantially different design. Rather than having teeth on one end of the tie and a ratcheting mechanism, beaded cable ties instead look as though they were made of dozens of small beads. The locking end of the beaded cable ties has a simple keyhole opening with a larger and smaller hole. The beads can pass through the larger end, but only the small intents between beads can fit through the small hole. In this way you can thread the beaded cable tie through and lock it in place, but easily remove it. The downside of beaded cable ties is that you have to manually insert the tie into the smaller hole, as opposed to standard zip ties that you can just pull and they automatically lock. The advantage of beaded cable ties is that they don’t have a moving part (the hinge on the locking mechanism of releasable cable ties) that can break off. Light decoration, from table lamps to enormous and elaborate chandelier art. Street art, with zip ties arranged around street sign poles and lamp posts, and the request of the New York City dept of Transportation. Chairs made from zip ties, either with the zip ties as part of the chair decoration, or with the zip ties used as a fundamental part of the chair construction. A zip tie bear — an art piece in which a life-sized bear was made from plan white zip ties in an intricate pattern. Zip ties used in fashion to create a runway dress out of colored zip ties.